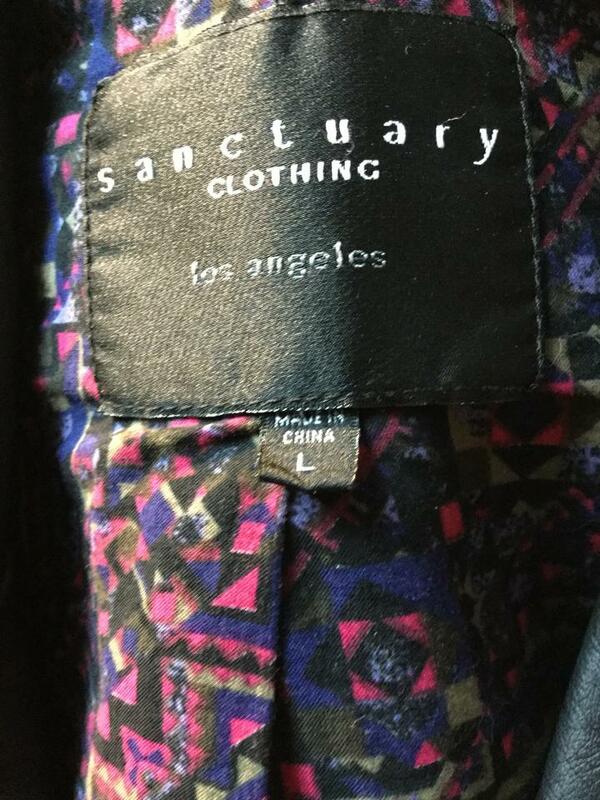 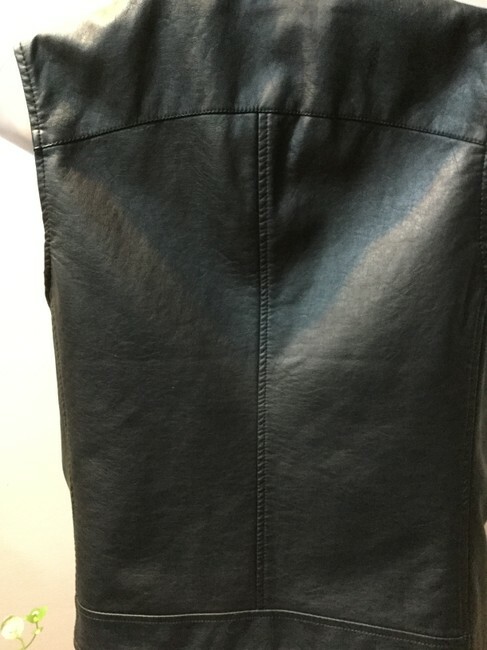 Sanctuary of Los Angeles designed faux leather vest. 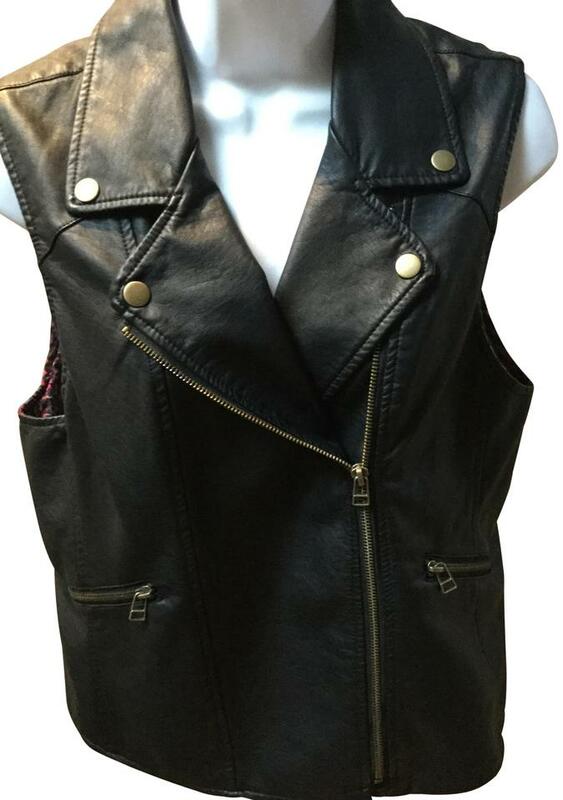 You will love the design of this 'go to' vest. Gorgeous black(brownish) vegan leather moto vest with brushed gold snaps and zippered pockets. 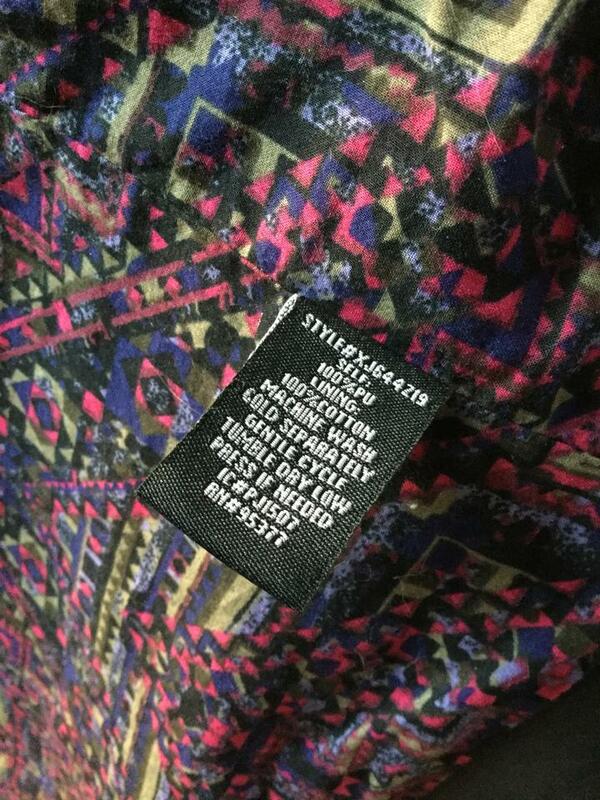 Cute patterned cotton lining. The supple faux leather shapes a punk-chic vest accented with burnished goldtone hardware. Excellent condition. 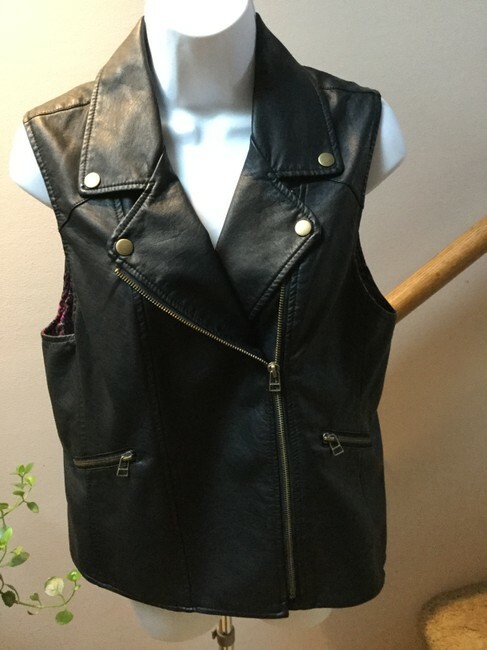 This comfortable vest will have many possibilities!